At USAGov, we know that email is often our #1 driver of traffic to our content, and nine out of 10 times it’s our go-to outreach tool for disseminating timely information. But doing email sends consistently and effectively isn’t always clear cut, especially when you have a combined 1.3 million subscribers. We send email blasts to our subscriber lists about all sorts of content based on what they signed up to get. Topics range from immigration to travel, health, and jobs. 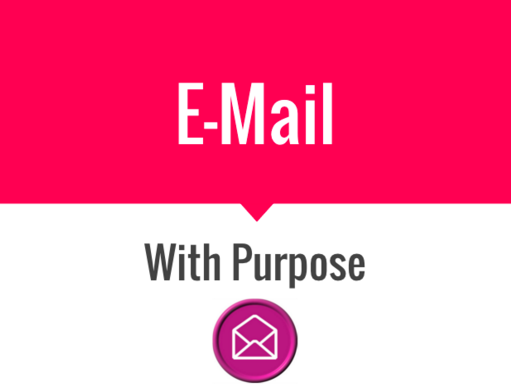 With every email, a lot of consideration goes into the draft, quality and purpose of why we’re sending a particular communication. In plain language, clear, and action-oriented. Reaching the right audience - In the future, we would like to explore segmentation and targeting (geo-specific when appropriate, for example when we do disaster communications). The email team also monitors and stays up to date on consumer trends and promotes content on our sites that might be of interest to the public. Contributed to major traffic spikes on our web pages. Spiked calls to our call center. For example, an email we sent about tax identity theft triggered a high number of calls. Informed the public about a campaign and increased public participation in social media chats. We evaluate every message we send by reviewing our data about a week after an email’s sent. Unique open rates and click rates—both numbers and percentages—help us evaluate what content performed well. We know, for example, that we have a lot of visitors to USA.gov and GobiernoUSA.gov seeking information on immigration. We align that information with our email sends, and the open rates and click-through rates prove the value of knowing what people are interested in. At the end of every month, our internal performance measurement team provides us with a detailed report of how our messages performed. This is valuable information that informs and influences our email content strategy. We combine the data from email behavior with data from website visits and calls to our contact center, 1-844-USA-GOV1. All of these factors determine what we invest time writing about. Many factors go into a successful email, from subject line, to preheader text, to bypassing spam filtering systems. After you checked all these off, you also need to consider images. We’ve noted that eight out of 10 times emails with images outperform emails that don’t include images. An image should always support your content and should include alternative text for screen readers. Will you be able to ensure quality control so messages are well-written, timely, culturally relevant, and targeted? Stay tuned for a series of posts on email content and strategy. Victoria Wales is a member of the USAGov Marketing and Outreach Team.